Here at HubSpot, we’re lucky to have a strong, healthy relationship between marketing and sales. Our marketing and sales executives started out on the same team in the company’s earliest days, and that collaboration has trickled down throughout the organization as it continues to grow. But it wasn’t just luck, of course. 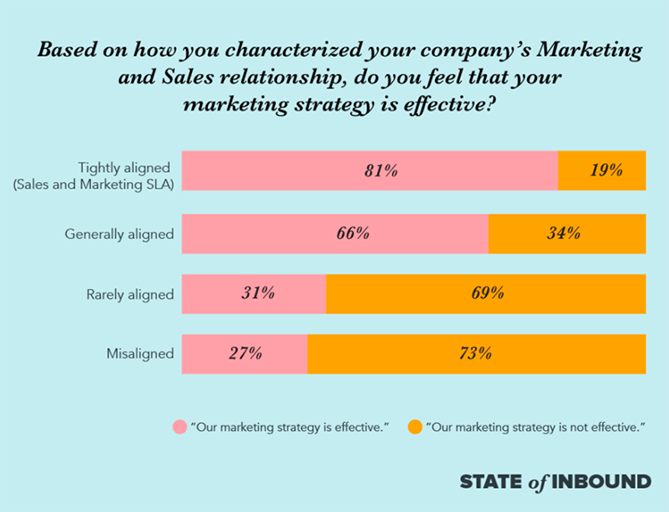 That alignment — which we call “Smarketing” — is largely the result of a conscious decision to work together, set goals, and create agreements between both teams. One of the most critical steps, it turns out, is creating a service level agreement (SLA). Traditionally, an SLA serves to clearly define exactly what a customer will receive from a service provider. But we suggest creating a Sales and Marketing SLA: An agreement that details both marketing goals (like number of leads or revenue pipeline) and the sales activities that will follow and support them, like following up on leads qualified by marketing. Both teams use this document as a commitment to support each other, based on concrete, numerical goals. And guess what — 81% of marketers whose companies have this type of SLA have an effective marketing strategy. But if you don’t have a Sales and Marketing SLA in place, fear not: We’ve outlined four steps to create one below, as well as ways to get started on aligning your sales and marketing teams. Before you begin to draft your SLA, you’ll have to make sure your Sales and Marketing teams are aligned — or, as we put it before, achieve harmonious Smarketing. That’s accomplished in two main parts. 1) Have Marketing commit to a number. As a marketing department, not only should you have a concrete strategy and reporting goal, but also, you should have a concrete numerical one that aligns with the sales team’s mentality. Sales professionals are greatly driven by their quotas — the numerical goals that correlate with their compensation and job security. If Marketing commits to a similar, related numerical goal, it shows that the team is being held accountable in a manner similar to Sales. 2) Communicate, celebrate, and address the achievement — or lack thereof. Maintaining strong communication regarding how each team is performing on goals boosts transparency. If either team isn’t reaching their goals, addressing that confirms their importance, while celebrating hitting those goals can aid motivation. If you’re not sure where to begin when it comes to setting these goals, check out our free Marketing & Sales Lead Goal Calculator, designed to help you determine and track the goals that will eventually become part of your SLA. Then, it’s time to do some calculations. You could also take it one step further, and incorporate quantity and quality into these metrics. The above calculations provide you with a quantitative volume goal of marketing-generated leads. However, we know that not all leads are created equal, and as a result, some may be considered higher- or lower-quality than others. For example, a decision-making executive might be a more valuable contact than an intern. If that’s the case, you can do the above analysis for each subset of leads, and set up separate goals for each type/quality level. Want to take it even further? Measure in terms of value, instead of volume. For example, a CEO may be worth $100, for instance, while a director is $50, a manager is $40, and so on. If leads are responded to in fewer than five minutes, the chances of actually contacting them are 100x higher than waiting 30 minutes. 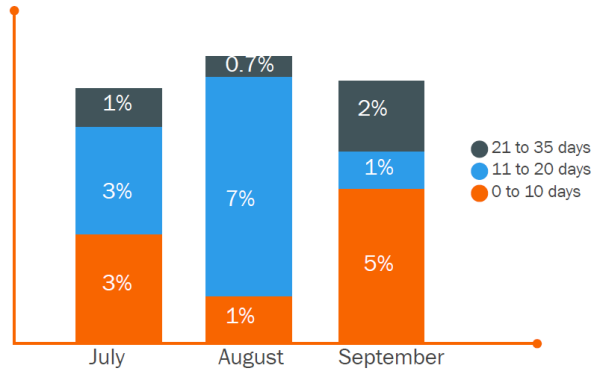 On average, only 7.7% of leads are contacted within the first five minutes. Not all leads may be fit to send to Sales immediately. Perhaps they need to meet some minimum level of quality, like reaching a certain activity level, which can only take place after being nurtured by Marketing. That’s perfectly fine — as long as your leads get some immediate follow-up. The first moments after lead conversion are critical in maintaining a relationship with your leads, and either Sales or Marketing should take action to start building that relationship, make nurturing easier, and set up the sales rep for success when she eventually does reach out. But this advice is futile if you don’t consider the bandwidth of your sales reps. Sure, in a perfect world, they’d make six follow-up attempts for each lead — in reality, though, they may simply not have enough hours in the day to do that. For that reason, you’ll also need to factor in the number of leads each rep is getting (based on the Marketing SLA), how much time they spend on marketing-generated leads versus sales-generated leads, and how much time they have to spend on each one. If you’re looking to conserve time, some of the follow-up — email, in particular — could be automated, so look into options there. Now that you have your SLA goals, it’s time to track your progress against that goal — daily. For the Sales SLA reporting, you’ll have two graphs — one monitoring the speed of follow-up, and the other monitoring the depth of follow-up. To graph the speed of follow up, you’ll need the date/time the lead was presented to sales, and the date/time the lead received her first follow-up. The difference between those two times equals the time it took for Sales to follow up with that particular lead. Take the averages of lengths of time it took for Sales to follow up with all leads within a particular timeframe — day, week, month — and graph it against the SLA goal. 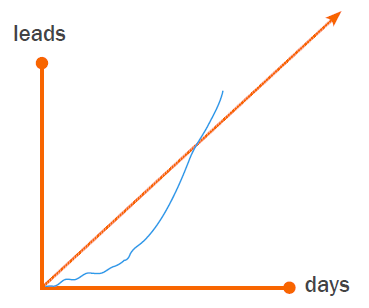 To graph the depth of follow-up — e.g., the number of attempts — look specifically at leads that have not been connected with, since the goal of the follow-up is to get a connect. For leads over a certain timeframe that have not gotten a connect, look at the average number of follow-up attempts made, and graph that against the SLA goal. When it comes to what should be in your service level agreement, there’s one final piece: Review these metrics on a daily basis to monitor your progress, and make sure both Sales and Marketing have access to the reports for both sides of the SLA. This step helps to maintain accountability and transparency and allows for both teams to address issues — or congratulate each other on productive results. What best practices have you observed in creating a service level agreement within your organization? Let us know in the comments.